Unit　5　Do you want to watch a game show? 八年级 英语 复习与练习 比较级与最高级 ▲形容词、副词的比较级和最高级 1. This book is the most educational (educational) of the three. 2. Who has a pair of ears more famous (famous) than Mickey? 3. Which question is more simple (simple)，the first one or the second one? 4. Is Li Jiacheng the richest (rich) in Hong Kong? 5. 唐嫣和钟汉良一样有名。 Tang Yan is as famous as Zhong Hanliang. 6. 我认为情景剧比肥皂剧更有教育意义。 I think sitcoms are more educational than soap operas. 7. 这个卡通人物不如那个卡通人物出名。 This cartoon character isn't as/ so famous as that one. 动词时态 1. Be quiet! The Greens are planning (plan) their trip to the USA. 2. Simon’s mother loves (love) soap operas very much. 3. Look! What is happening (happen) there? Let’s go and see. 4. What happened (happen) to you? Why were you so sad? 5. Now Alan is watching (watch) an interesting talk show. 6. What does Liu Peng think (think) of Weekend Talk? 7. I don’t like (not like)to go shopping with my mother. It’s too crowed in the store. 8. A smile appeared (appear) on the teacher’s face after he knew the news. 9. Last week she wrote (write) an English letter to me. 10. My uncle became (become) a dentist five years ago. 1. 我昨天帮助父母做饭，他们说我做得很好。 I helped my parents cook yesterday and they said I did a good job． 2. 周杰伦首次出现在《中国好声音》里。 Jay Chou first appeared in the Voice of China. 3. 你叔叔可能回去开会，不过我不确定。 Your uncle may be back to a meeting but I’m not sure. 情态动词 1. The old men can't stand (can't stand)rock music. They think it’s noisy. 2. I hope my dog can grow (grow)up happily and healthily. 3. Could you please read (read) the article for me? 4. 听说你买了一本有趣的故事书。能给我看看吗？ I heard you bought an interesting story book. Could you show it to me? 词的用法 ▲名词单复数 1. I saw a relaxing film (film)at the cinema yesterday. 2. Mr. Bean is my favorite actor and I like all his comedies (comedy)． 3. What do you think of game shows (game show) 4. Can you tell me some reason (reason) why you must study English well? 5. My mother likes soap operas (opera)，but my father doesn't. 6. Alice likes to see comedies (comedy) best. 7. He likes making friends with people from different culture (culture)． ▲介词后面的动词加ing 1. Thank you very much for giving (give) me t he nice toy. 2. What about taking (take) a walk with us after dinner? 3. What do you think of visiting (visit) Beijing? ▲(can't)stand 1. —你觉得这个故事怎么样？—我觉得无法忍受。 —What do you think of the story?—I can’t stand it. 2. 这个小男孩不能忍受西餐。 The little boy can’t stand western food. 3. 罗斯忍受不了老年人不能爱美的想法。 Rose can’t stand the idea that old people can’t be beautiful. 4. 她不能忍受每天弹三个小时的钢琴。 She can’t stand playing the piano for three hours every day. ▲动词短语做主语，动词加ing I think swimming (swim) is good for boys. ▲face 我们必须勇敢地努力面对各种问题。 We must try to face all kinds of problems bravely. ▲ favorite (形容词，最喜爱的)= like…best 你最喜欢的卡通片是什么？(favorite; cartoon) What’s your favorite cartoon? ▲ with 这是第一部带有声音和音乐的卡通片。 This is the first cartoon with sound and music . 词形变化 ▲ success—successful wonder—wonderful education--educational luck--lucky—unlucky enjoy—enjoyable relax—relaxed– relaxing surprise—surprised—surprising excite--excited--exciting 1. If you work hard，you are sure to be successful (success) one day. 2. It’s a very successful (success) scary movie, but I think it’s boring. 3. In some countries，people think thirteen is an unlucky (lucky)number and they don't like it. 4. Lost in Thailand is an enjoyable (enjoy) movie, we all like watching it. 5. Today Tim was unlucky (luck). He left his keys at home when he went out. 6. The bike trip was relaxing (relax) and it made (make) me very happy. 7. The boy’s answer was surprised (surprise)me. 8. Mulan is a(an) exciting (excite)movie. It shows Mulan’s love for her family, friends and country. ▲ success—successful wonder—wonderful education--educational luck--lucky—unlucky enjoy—enjoyable relax—relaxed– relaxing surprise—surprised—surprising excite--excited--exciting 10. It's enjoyable (enjoy) to listen to music when I am free. 11. —Jim, why are you so excited (excite)? —Oh, I won the first prize for the singing competition. 12. The TV show is really exciting (excite)．I love it. 13. We were all happy when we heard the exciting (excite) news. 14.我认为情景剧比肥皂剧更有教育意义。 I think sitcoms are more educational than soap operas. 15. Mr. Yang teaches children with specially educational (education) examples. 16. The news in yesterday's newspaper was wonderful (wonder)． ▲ meaning—meaningless discuss--discussion 1. Let's have a discussion (discuss) about how to win the game. 2. The teacher asked us to have a discussion (discuss) in our group. 3. The students are having a discussion (discuss) about these TV programs. 4. —你喜欢看卡通片吗？—不，我认为它们毫无意义。 —Do you like watch cartoons? —No, I think they’re meaningless . 5. 我认为恐怖片是毫无意义的。(scary movie; meaningless) I think scary movies are meaningless. 6. Though many people like scary movies, I think they are meaningless. 固定短语 ▲ dress up打扮；梳理 1. 这只是一次小聚会，你不需要打扮。 It's just a small party. You don't have to dress up． 2. 贝蒂昨天打扮得像只米老鼠。 Betty dressed up like a Mickey Mouse yesterday. 3. 他们装扮成了小丑。 They dressed up as clowns. 4. 我妈妈出去之前常常打扮一番。 My mother often dresses up before she goes out. 5. 汤姆在才艺表演中打扮得像个小女孩。 Tom dresses up like a little girl in the talent show. ▲ face any danger 面对任何危险 他不畏惧面对任何危险。 He is not afraid to face any danger． ▲ come out 1. 他的第一本书是什么时候出版的？ When did his first book come out? 2. 莫言的新书出版了。(come out) Mo Yan’s new book comes out. 3. I hear this kind of magazine comes out every month. ▲ find out查明；弄清楚 因为我希望弄清世界各地在发生着什么。 Because I hope to find out what’s going on around the world. 我们要查明真相很难。 It's very difficult for us to find out the truth. ▲ do a good job干得好 1. 拉里在这次歌唱比赛中表现很好。 Larry did a good job in the singing competition. 2. 我认为你做得非常好。 I think you do/ did a good job. ▲ join the army 明年我哥哥就要加入军队了。 My brother will join the army next year. ▲ take sb.’s place代替；替换 1. 没有人能代替她在我心中的位置。 Nobody can take her place in my heart. 2. 如果你累了，我可以替你打扫。 If you are tired，I can take your place to do the cleaning. 3. 她说要找个人来代替现任经理很不容易。 She said it would be difficult to find a man to take the place of the present manager. 4. 昨天，我替他完成了这项工作。 Yesterday I took his place to finish the work. ▲ learn from从……获得；向……学习 1. 我喜欢在小组里学习，那样我们可以互相学习。 I like study in groups. We can learn from each other. 2. 从新闻节目中你能学到什么？ What can you learn from the news? 3. 你期望从郭敬明的小说中学到什么？ What did you hope to learn from Guo Jingming’s novels? ▲ be from, come from 1. 小沈阳来自于一个贫穷的家庭。 Xiao Shenyang is/comes from a poor family. 2. 你知道这个谚语的出处吗？ Do you know where the saying is/comes from ？ ▲ be ready to do sth.准备/乐于做某事 1. Lei Feng was always ready to help (help) people who were in trouble. 2. Linda is ready to try (try) her best to help her classmates. 3. 你为这次聚会做好准备了吗？ Are you ready for the party? 4. 玛丽正在为期末考试做准备。 Mary is getting ready for the final exam. 5. 琳达总是乐于帮助同学。 Linda is always ready to help her classmates. ▲ hope to do sth.希望做某事 We hope to meet (meet) our teacher at the street. He hopes to win (win) the running competition. ▲expect to do sth.盼望做某事 刘静期望成为像李娜一样的运动员。 Liu Jing expect to be a player like Li Na. ▲ plan to do sth.计划/打算做某事 1. I plan to have (have) a birthday party for my best friend. 2. Next school trip, we plan to go (go)camping in the mountains 3. 我计划假期去学习英语。 I plan to learn English on my vacation. 4. 你今天晚上计划看什么（节目）？ What do you plan to watch on TV tonight? ▲ want to do sth 1. I don’t want my sister to walk (walk) to school, so I lend my bike to her. 2. They want to climb (climb) the mountain this weekend. 3. —你想看新闻吗？—不，不想。 —Do you want to watch the news ?—No, I don’t. 4. 他太懒了。我不想成为他那样的人。 He is such a lazy boy. I don't want to be like him. ▲ ask sb to do sth My friend asked me to go (go) out with him, but I had no time. ▲ decide to do sth Sarah decided to work (work) in a hospital in London. ▲ mind doing sth:介意做某事 I don’t mind opening (open) the window. Do you mind talking (talk) about the game show? ▲ enjoy doing sth Many people enjoy watching (watch) Animal World. ▲ talk show谈话节目 我妈妈不喜欢谈话类节目。 My mother doesn’t like talk shows . ▲the symbol of 白色是纯洁的象征。 The color white is the symbol of purity. ▲ main reason 他学习英语的主要原因是他去美国。 The main reason why he studies English is that he wants to the USA. ▲ in the 1930s:在二十世纪三十年代 他的父亲在20世纪60年代从加拿大回到了中国。 His father came back to China from Canada in the 1960s ． 词语辨析 ▲ forget to do sth, for get ding sth remember to do sth, remember ding sth I forgot to tell (tell) him the news last week. So he knew nothing about it. Remember to practice (practice) playing the guitar this afternoon. ▲ try one’s best to do sth尽某人最大努力做某事, try to do sth, try doing sth 1. 安迪尽他最大努力去了解剧中的人物。 Andy tries his best to learn the characters in the play. 2. 孩子们在尽最大努力学习英语。 Children are trying their best to learn English. 3. 刘先生总是竭尽全力帮助那个学校的穷学生。 Mr. Liu is always try his best to help the poor students in that school. 4. He always tried to face (face) any danger he met. 9. Thank you for reminding (remind) me the time of his coming. ▲ such as, for example 1. 我喜欢很多种类的电影，例如卡通片和动作片。 I like many kinds of movies, such as cartoons and action movies. 2. Do you like comedies，for example, Mr.Bean and My Father's Birthday? ▲ think of, think about 你能想起那部电影的名字吗？ Can you think of the name of the movie? 句型句子 ▲ What do you think of sth?=How dou you like sth?你认为…怎么样？ 你认为2015年央视春晚怎么样？ What do you think of the 2015 CCTV Spring Festival Gala? 单词拼写 1．I hope (希望) to meet my good friend soon. 2．Do your parents watch news (新闻) every evening? 3．The story happened (发生) about five hundred years ago. 4．It may (可能) take us half an hour to get to the train station. 5．John always makes fun of me and I can't stand (忍受) him. 6．Although the man is rich (富裕的)，he doesn't live a happy life. 7．The old city is a center of art and culture (文化)． 8. We expect (期待) you to write more great works. 9. Why did you want to join the army (陆军)? 10．Peter found (发现) his ID card in one of his books. 11．We are planning (计划) to visit the West Lake this summer vacation. 12．My good friend，Johnny，often tells joke (笑话) to me. 13．Would you like to see a movie with us tonight (今晚)? 14．Maybe we should do something more relaxing (放松的) this weekend. 15．Our math teacher looks serious (严肃的)，but he is very friendly to us. 16．We plan to make an educational (教育的) TV show for kids next week. 17．The program is meaningless (毫无意义的)．We can't learn anything from it. 18．Pleasant Goat and Big Big Wolf(《喜羊羊与灰太狼》) is a popular cartoon (动画片)． 19．What do you think of cartoons (卡通片)? 20．Everything is ready (准备好的)．Let's start. 21．What is the main (主要的) difference between the two pictures? 22．The question is very simple/easy (简单的)，so all the students can answer it. 23．I want to know what's happening (发生) over there. 单项选择 ( A ) 1. (江苏苏州) — I hear you’ve got a new iPhone 4s. ______ I have a look? —Yes, certainly. A. May B. Do C. Shall D. Should ( B ) 2. —_____ does she think of English today?—She loves it. A. How B. What C. Why D. When ( C ) 3. The children hope ____________everything is fine. A. see B. seeing C. to see D. saw ( B ) 4. —They plan________ Yunnan on National Day of 2015.—Sounds great! A. go to B. to go to C. to go D. going to ( B ) 5. (四川绵阳) Excuse me, would you mind _____ your voices down, please? A. to keep B. keeping C. keep D. kept ( B ) 6. (山东青岛) —You look sad. What has happened? —Everyone ______ us to win the match, but we lost. A. expects B. expected C. hopes D. hoped ( C ) 7. —Can you _____ the bad weather?—No, I can’t. It’s too terrible. A. like B. love C. stand D. mind ( C ) 8. (湖南岳阳) Wembley Stadium(温布利大球场) is one of the ___ soccer fields in the world. It will be the place for soccer matches during the Olympics next month. A. famous B. more famous C. most famous ( A ) 9. Talent shows just give people a way to make their dreams . A come true B to come true C come back D to come back ( B ) 10. Bill, __________ watch TV on weekdays. A. not try to B. try not to C. don’t try D. try not ( D ) 11. I can’t ______ soap operas. They’re quite boring. A. love B. like C. mind D. stand ( D ) 12. —Would you like to watch the sports show?—________. A. No, I’d not like to B. Yes, I’d like C. No, I’d like to D. Yes, I’d like to. But I have no time. ( B ) 13. An accident happened _____ him the other day. A. on B. to C. of D. for ( A ) 14. (河北) _____ I see your ID card, sir? We have to check your information. A. May B. Must C. Should D. Need ( D ) 15. (陕西) Mary called and asked her husband _______ at once, because she locked their daughter in the home. A. to leave B. leave C. go D. to go ( C ) 16. —His mother wants him ______ at home all day.—Really? That’s terrible. A. stays B. stayed C. to stay D. staying ( B ) 17. Han Ming is a helpful boy. He is ready _____ anything for others. A. do B. to do C. doing D. does ( D ) 18. (江苏盐城) Cao Wenxuan’s new book has just ______. Let’s go and buy one. A. come over B. come down C. come on D. come out ( C ) 19. (浙江衢州) Many children are left alone in the countryside. Let’s try our best _____ them. A. help B. helping C. to help D. helps ( A ) 20. ___________ November 18, 1978,Mickey became the first cartoon character to have a star on the Hollywood Walk of Fame. A. On B. At C. In D. Before ( C ) 21. (广西贺州) Our teacher often tells us _________ in the river. It’s dangerous. A. don’t swim B. not swim C. not to swim D. not swimming ( D ) 22. This week I asked students _______ fashion. A. of B. in C. at D. about ( B ) 23. I happen ______ the answer to your question. A. know B. to know C. knowing D. that know ( C ) 24. —Mum, ________I go out to play? —Yes, you can. But you must finish your homework first. A. must B. will C. may D. need ( A )25. —Your cousin can paint well. —Yes. He ________ his paintings. 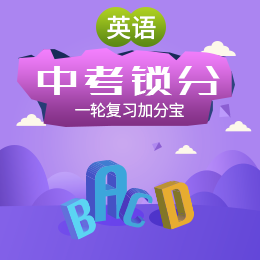 A. is famous for B. is famous as C. is good for D. is good with 句型转换 1. I like cooking. (对划线部分提问) What do you think of cooking? 2. He plans to go to movies tomorrow. (对划线部分提问) Where does he plan to do tomorrow? 3. Nick likes to watch game shows. (改为一般疑问句) Does Nick like to watch game shows? 4. What do you think of Chinese food? (改为同义句) How do you like Chinese food? 5. Mike loves sitcoms because he thinks they’re funny. (对划线部分提问) Why does Mike love sitcoms? 6. My brother loves sitcoms very much. (对划线部分提问) How does your brother love sitcoms? 7. Let’s take a walk after dinner. ( 改为同义句) What / How about taking a walk after dinner? 8. Mike wants to watch a sports show. (改为一般疑问句) Does Mike want to watch a sports show? 9. I found out the difference between the two things. (改为否定句) I didn’t find out the difference between the two things. 10. I plan to watch talent shows tonight. (对画线部分提问) What do you do tonight? 11. The teacher asked me, “When did you finish the work?” (改为宾语从句) The teacher asked me when you finished the work. 12. I know it’s early, but I’m ready for bed. (改为同义句) I know it’s early, but I’m ready for go to bed . 13. Sanya is known for its beautiful beaches. (改为同义句) Sanya is famous for its beautiful beaches. 14. Mickey is a black mouse with two large round ears. (对划线部分提问) How does Mickey look like . 15. I like talk shows best. (对划线部分提问) What kind of TV shows do you like best? 习作范文 Peter loves talk shows. He thinks they're very interesting. He likes both sports shows and sitcoms. They are kind of funny. He doesn't mind game shows. He doesn't like soap operas. He finds them kind of boring. He can't stand Beijing Operas. They are too boring. Li Fang's favorite TV show is sports shows. She likes talk shows，too. She doesn't like sitcoms or game shows. She doesn't mind soap operas and she can't stand Beijing Operas.